It was almost 11 years ago when I stopped my car at the Teen Talwar traffic light to be greeted by the usual herd of beggars, windscreen cleaners and newspaper sellers. One of the newspaper sellers, Riaz, a total of four feet in height, asked me for a lift to the Marriot signal. Irritated by the commotion around me, I chose to ignore him. Rather than moving on, he boldly walked in front of my car, locked eyes with me, stuck his teeth out like President Asif Zardari would, if he stared at the sun, and performed a mini-break dance in defiance. His army of four footers was in hysterics. What a cheeky little fellow! The traffic light turned green and I drove on only to see high fives being exchanged in the rear view mirror. I asked him to come around and sit in the passenger seat. As he sat inside the air conditioned car, he took a huge sigh of relief. He looked tired, worn out and a bit disoriented. He looked at me quite confused. In return, I gave him a big smile and subtly mimicked his break dance move from the week earlier. He started laughing uncontrollably for about sixty seconds. “Sorry, sir”, he said to which I replied that Pakistan needs more artists, so he needn’t be. After about five minutes, we arrived at his stop. He thanked me and asked if I wanted to buy a newspaper. I looked at him quietly for a few seconds trying to picture his entire day from start to finish. Perhaps a little recess was in order. “I’ll tell you what…” I proposed (in Urdu of course). “I’ll buy the entire stack if you give me company to the airport and back”. It was as if the entire weight of the world was lifted off Riaz’s little shoulders and replaced by the thought of complete bliss, even if it was for just an hour. He agreed, closed the door and sat back down. I put on his seat belt for him (only to receive a condescending look), turned up the volume on the stereo and divided the AC vents between us. Conversation was expected to be limited, but satisfaction immense. As it turned out, there were plenty of stories that were shared on our journey; some humorous, some serious and some downright painful (at least on his side). I could only offer two-bit advice knowing very well that it was all well and good in the theoretical sense, but too hard for someone in his situation to apply. Instead, we both chose to focus on the green patch of grass that was the present, especially the background (and sometimes blaring) music. In fact, Riaz became quite the fan of the Pulp Fiction soundtrack as suggested by his numerous head bobs and shoulder shrugs. Upon arriving at the airport parking lot, Riaz jumped out of the car and raced towards the arrival exit as if he was going to receive some long lost friend after many years of separation. Trying to stand tall on the railing he would point towards every arriving passenger and impatiently ask, “is that them?” When my mother finally came out of the exit, Riaz ran towards her and grabbed the carry-on piece she was rolling. In her confusion, she let go off the bag not knowing its fate. To her amazement Riaz came and stood right beside me with the piece. “Er…and who are we?” she asked with a confused grin. “We sell newspapers” I replied with a big smile. The three of us sat in the car and proceeded towards Clifton. This leg of the journey, Riaz was very formal. Not a peep came from the back seat. My mother and I conversed mostly in English with a few sentences of Urdu mixed in as we usually do, ignoring the fact that there was another passenger in the car. After about ten minutes, my mother started asking Riaz questions about where he lived, what he did, his parents etc. But I was a little surprised at the bluntness of the answers and how they lacked the same detail he shared with me earlier. Occasionally I would glance at him through the rear-view mirror and find him staring into the empty space as if he was listening to something intently. Perhaps he was trying to focus on the faint music coming from the rear speakers. What a musical nerd I thought; God bless him. We ended up dropping Riaz at the Baloch Colony Bridge. As promised, I bought his newspapers. I also asked Riaz if I could meet him the next day at the same Teen Talwar traffic light. He agreed. His timing couldn’t have been worse. I was leaving for the States in two weeks to pursue my undergraduate studies or else I would have taught him the language myself. In retrospect, I could have fixed him up with another family member, but that thought didn’t cross my mind at the time. Instead I took him to Boat Basin and bought some primary school books for English. But there was a catch. He had to find someone to teach him. Parked outside the book store in Boat Basin, I gave Riaz an hour long lecture, the content of which shall remain between the two of us. I handed him the bags, the books and an envelope. He looked very sad. I felt even worse. Then I ripped out a piece of paper from a notebook and wrote Riaz a letter… in English (the contents of which shall also remain undisclosed). I wrote my e-mail address on it. If Riaz ever wrote back to me, well I don’t have to explain what that would mean. Riaz’s story is a testament to the fact that our youth is thirsty for education. Unfortunately our leaders have not provided the necessary infrastructure – but that story is old now. We have run out of excuses to let things be as they are. If only one per cent of us took the responsibility to take one 10-year old from the street under our wing, in ten years we would have 1.8 million more educated people than what would have been otherwise. Ten years fly by. Imagine if two per cent of us mobilised. Unfortunately, I wasn’t able to do anything substantial for Riaz. He is completely self-made. But, he did do something for me. He reminded me that there is no excuse for mediocrity. A financial industry professional who works and lives in New York. Though many will come hither and look down their noses at the author for implying that a desire to learn English is equivalent to a desire to get education…to Riaz, in his circumstances, it was! More power to him…and happiness too! Thank you for sharing such an intimate story with us,. You drove your point home well, while at the same time taking caution to leave personal bits, ‘undisclosed’. You have shown professionalism and proven to be a good man at the same time,and I thank you for making my day. This article makes you want to smile. Please help as many Riaz as you can. I know you have it in you to do it and you will. Dear ET Blog editor! I request you to put this blog as cover on the tribune blogs. Such inspirational blogs are more than needed. All those who wish this blog to be made cover may recommend this comment. Brilliant article. I never really get to read any articles. This article just caught my eye and I’m glad that i read it. Please help as many Riaz as you can. You are a wonderful person. I wish every educated Pakistani starts thinking like you. u drove the point home…. and as Madeeha said for every RIAZ an Asad Ali, please God! made me Cry and made me smile.. what a beautiful story. Wish we could invest in our youth. they are magical. Hats off to Riaz for his determination. And Hats off to you sir, for sharing this with us. Dude…I totally agree with you on this spreading education part but don’t you think we first need a BIG change in our leadership….I mean it would be a shame if you start seeing educated beggars on the streets…. wonderful. Just wonderful. Yet ultimately sad. Asad, your story pierces through, right to the heart…very inspiring, and beautifully told. – changing someone’s life doesn’t take much from you…in fact, it blesses you in ways only you can truly know..
– if you see the spark in someone’s eyes, it doesn’t take much to ignite the fire…and you might be tied down by your own life and obligations, but you can never be too busy to spare a little time to instill hope and reassure someone..
– you become what you expect of yourself…no one should be able to tell you that you can’t do something…and if you want something and believe in your potential to get it, nothing can stop you. – if tiny acts can have such powerful impact on someone’s life, imagine what devoting a month, a summer break, a year or two would do! 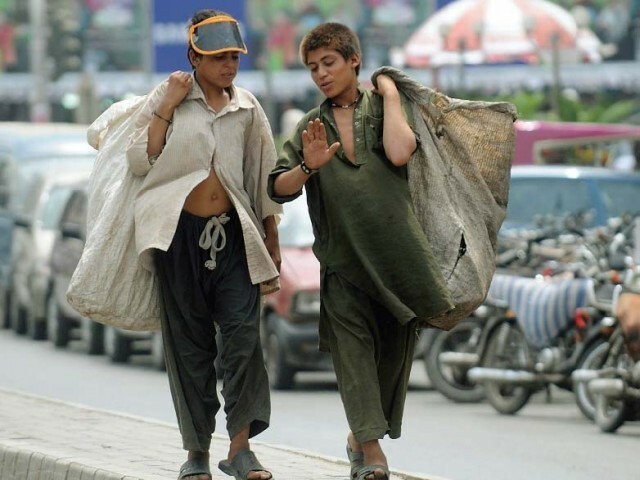 Look at the potential in our youth..they are eager to learn but poverty always stands in front of them..spread this article so that so-called politicians can learn from what they are missing from the society. May God guide them to the right path..Good bless Pakistan.! read it for like the 10th time…. You sir, are an inspiration for the rest of us. Goes to show that there is still hope for our country as long as we have people like you. I really wanna know what Riaz did after that? i mean how did he accomplish his goals? This piece gives us HOPE. A story like this just goes to show the potential in our country. I got goose bumps reading this. A message to our leaders and honestly more to ourselves. I agree that we can no longer just blame the government for all that goes wrong in our country. We need to take blame as well. A very inspiring read… and nicely weaved into a story too! Nations get the leaders they deserve… so in essence, it is our own doing that the educations sector is in the shape it is. There are many like you who try and do their bit to help, but what is really the need of the hour is vocational training to help these countless millions economically. The rest of education can follow once these young bright minds are accompanied by filled stomachs. This was indeed one of the best articles i read so far…. I am totally touched by the story and I hope each and every one of us learn from your experience…. and yes as far as the thirst for LEARNING can never end when it comes to the youth… only if someones there to help. 1- go back and give 10 Rs to that girl and clear your concious that you did your part. 2- Go back take that child off the street and help her change her life by educating her and protecting her and satisfy your concious that you atleast saved one life. 3- Or you can commit yourself to struggle to change the system who creates these children and don’t take care of them. PTI is the only party which besides having the squeaky clean leadership who beleive in pakistan have decleared that first thing they will do if they came in power is to declare education emergency. Haaiiiii, you write so well :) It was completely unpretentious and such a delight to read… both, the story and the its narration. … fascination, inspirational , wonderfully told story. got thrilled when u says after almost 11 years got email. Allaha may bless Pakistan with more Asad Ali like u. God bless you and your family for such a noble deed. This is realy an amzing and heart touching story. “Almost eleven years later (three days ago) I received an e-mail from Riaz for the first time.” Tears rolls down my face…. I am proud for having country man like you!